I was going to let that pass without comment. I was about to, but seeing that it is almost relevant to the conversation that goes on here, I found myself too tempted. I checked out her music based on your praise. I was set up! I've only heard their most recent album (A Blessing and a Curse), but I'm definitely going to check out more. How do you like 'em? I had been meaning to catch up with them for a long time now, and decided to use my free trial at eMusic to download The Dirty South. So far, I'm diggin' it. I also downloaded a totally free set called the 2006 Pitchfork Festival Sampler, which has 24 tracks by the likes of The National, Nels Cline, Aesop Rock, Mission of Burma, Tapes n' Tapes, Mountain Goats, Matmos, Matthew Dear, etc. Can't beat that. Have you looked into eMusic? Yes, eMusic rocks. I did the free trial and was a paying subscriber for a couple of months. I think the price is right at about 25 cents per song with the basic 40-downloads-per-month subscription plan; since I'll most likely be buying my favorite downloads on CD eventually, I don't want to pay the full CD price twice for one album (as I would with the iTunes Music Store), especially since the downloads aren't even full CD quality. And even though eMusic is limited to indie labels, they have a pretty awesome selection. We can get our Hilary Duff music elsewhere. Exactly. I know iTunes boasts about their 99-cents price, but that's still too steep for me, especially when the file arrives at a low grade and with all sorts of restrictions. I use iTunes occasionally, but I'd use it a lot more if the price dropped. We can get our Hilary Duff music elsewhere. Man, was I ever bummed to learn that Avril Lavigne got hitched. The waiting was the hardest part, but finally Tom Petty's new solo album is out. And it was worth it. With great songwriting and Mike Campbell's classic guitar sound, Petty is far from done. Sure it's hard to top what he's already done, but I admire Petty (and his band the Heartbreakers) for keeping it together and still sounding great over the past 30 years. Right now I'm most looking forward to the new Bob Dylan album. 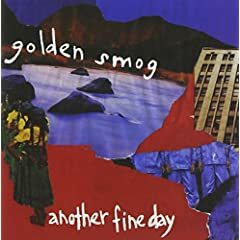 Golden Smog's Another Fine Day is really growing on me--not only is it my favorite GS album, I think it stands a good chance of ranking among the year's best. Have you heard this yet, Michael? 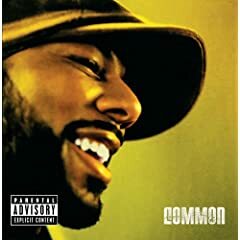 Incidentally, I really, really like Be, which is light years beyond what usually passes for mainstream rap. I'm going to have to catch up with his earlier stuff. The Lollapalooza webcast re-sparked my interest in Sleater-Kinney... I had forgotten how much I like The Woods.